It was as early as 1876 when Fort Myers Beach, then known as Estero Island, was surveyed and platted, with only a few squatters and a lot of mosquitos. 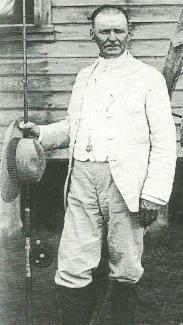 In 1888, Cyrus Teed, a religious leader, founded the Koreshan Unity in Chicago with a large growing membership. He came to Lee County in 1893 with some of his followers to purchase land and build his Utopian commune, believing strongly in celibacy, communal living and equality for men and women. He eventually settled on the Estero River, where today many of these structures still remain at the Koreshan State Park on US 41 in Estero. The Koreshans purchased land in 1894 on Estero Island at the bayside of the South point from a squatter for $20. Here they promptly placed a sawmill to cut island pines and mahogany for a "pier". They began milling to build homes, docks and boats. The mailboat made deliveries three days a week. By 1898, the Koreshans had purchased the entire south end of the island plus the Northernmost end in 1910, now called Bowditch Point where they built a boat landing. 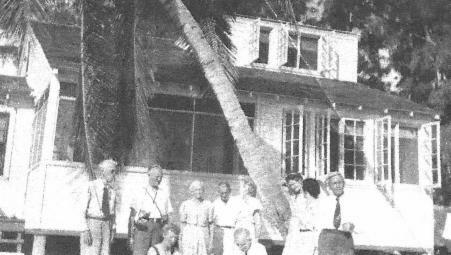 It is said the Koreshan Unity once owned 7,000 acres of land in Estero, Bonita and Fort Myers Beach during the early 1900's. This island home named "La Parita" was built on the south point of Estero Island for Cyrus Teed and his personal guests, as seen above. It was a two story, large complex for visitors and their families and used often for beach parties, picnics and special outings. Guests arrived in elaborate boats or shallow draft "run boats" built by the Koreshans for water transportation. Cultivated coconut palm groves, papayas, mangoes, and pineapples grew near "the woods" of mangroves, buttonwood, and Australian pines at this tropical setting. 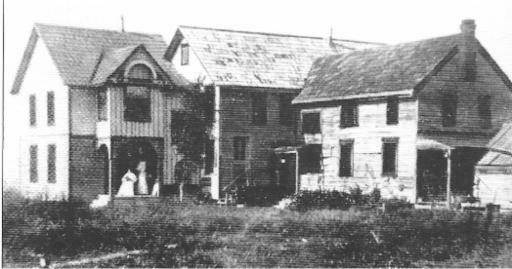 Cyrus Teed died in this island home in 1908. He was placed in a concrete tomb, as seen below, with an eternal flame next to the Karl Leuitich house in the complex, to be watched and tended. The hurricane of 1921 washed away the entire south end of the island, including the tomb and all of its surroundings. Today the remaining "Rising Tide" cottage, as seen below, is a living reminder of the Koreshans who built it and lived here on Ft. Myers Beach. 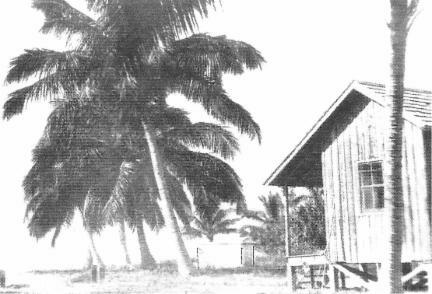 The photo of the beachfront cottage in 1948 shows Vesta Newcomb and Hedwig Mitchell to the right of the palm, as the last two Koreshans to have lived at both the Koreshan Unity in Estero and "La Parita" on Estero Island during the 1800's. . . . It was their dream fulfilled.